Ant stings, particularly the fire ants, hurt and could turn serious, particularly if you are allergic to them. An ant bite happens when the ant bites using their mouth and mandibles to pinch our skin. Bite often differs from sting: ant stings with their stinger, which is the caudal-most part of the body of ants. Any person in contact with ants is likely getting ant bites or stings, especially if they are in the area where ants establish their nests. Ant tends are numerous in the areas with bare ground, compact soil, little ground cover, and large trees. What Are Causes Of Ant Bites? Ants will often attack when they feel being threatened – fire ants are a typical example. Some ant venom could have an adverse effect, particularly on those people with weak immune systems such as older people, sick people, or children. Thus, it is important to avoid them beforehand. Ant venom is dangerous which could be used by the military groups and governments as a chemical agent in warfare. It is said that prevention is the best treatment for ant bites. Absolutely anybody who comes in contact with ants will cope with the danger of ant bites or stings, particularly if he is in the region settling a lot of ant nests. The ant nests look like mounds with varied diameter lengths. Even, some are more than 50 cm in height. What Are Symptoms Of Ant Bites? These symptoms rarely last for more than one day. The larger reaction impacts bigger skin areas and could last up to a couple of days. Some mild systemic reactions might involve the digestive system, thereby leading to nausea and cramps. 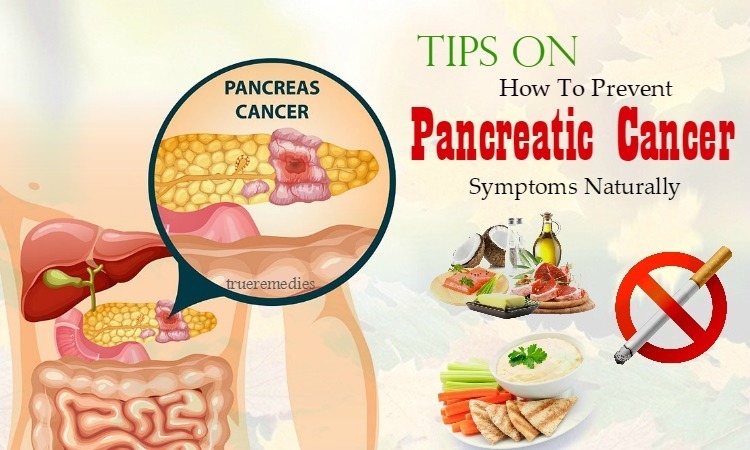 For those with severe systemic reactions, they may have symptoms like chest pain, wheezing, profuse vomitting, angioedema and hypotension among others. Ant bites could be very distressing that lasts for several seconds. It is the itch that can be hard and uncontrollable to deal with. In addition to that, sufferers have to deal with swellings over the skin because of the action of histamines. 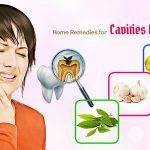 If you are looking for natural ways to deal with ant bites, then you are the right place because here from TrueRemedies.com, we uncover top natural home remedies for ant bites and stings swelling and itching. Check out below! 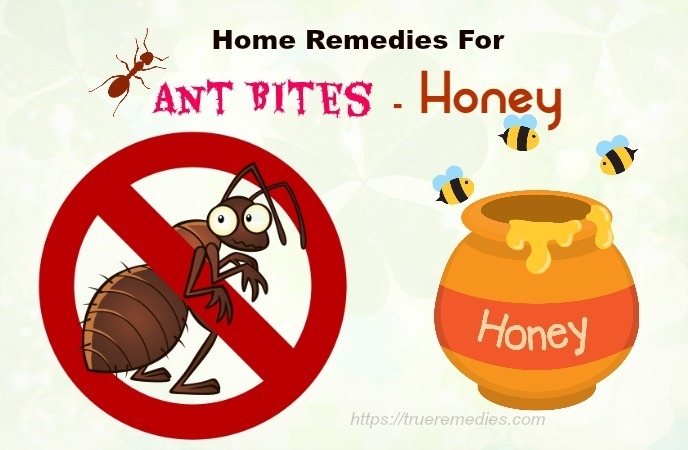 This is the first and foremost option in this list of home remedies for ant bites you can apply almost instantly. An ice cube can prevent the swelling from spreading on your skin. To stop swelling and itching caused by ant bites and stings, you need to stop the action of histamines released by ants. An ice cube can help you do this quickly. After cleansing the affected area, take an ice cube to apply on it. This acts as a natural anti-histamine solution that can stop pain and itching naturally. Or, you can use a cold pack to tamp down inflammation while numbing the nerves. Apply the mixture on the skin to get a relief from itching and swelling of ant bites. You can use apple cider vinegar as an alternative to get similar results. In toothpaste, there are cloves, peppermint or menthol which has a cooling effect on your itching and swelling skin. 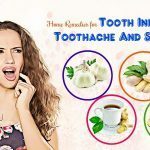 To numb the areas with ant bites and reduce itching as well as pain, you can apply a small amount of toothpaste directly on the problematic areas. In a few seconds, you will feel an instant relief of itching. You should choose the peppermint-contained toothpaste over others for good results. Making a paste of baking soda and water can draw out the poison of ant bites and remove the pain naturally. Baking soda will restore the balance of pH level of your skin. It will also reduce itching and prevent any infection associated with ant bites. 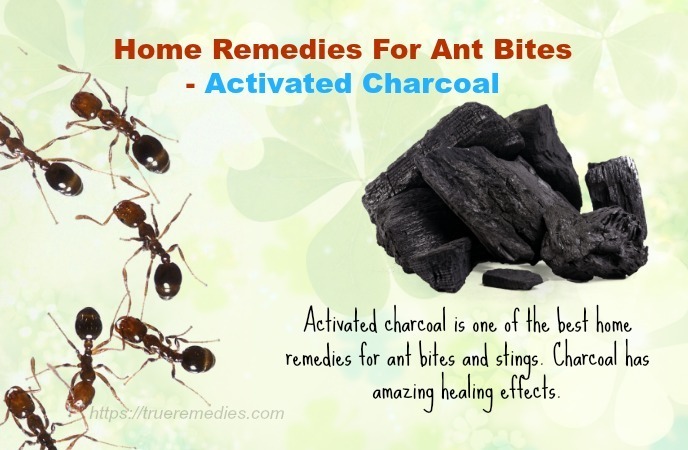 Activated charcoal is one of the best home remedies for ant bites and stings. Charcoal has amazing healing effects. If presence, remove the stinger using your fingernails, tweezers or a credit card to pull out or scrape away the stinger. Cut a piece of sheet or gauze and use water to dampen the material before adding activated charcoal onto. Place the poultice over your affected area and cover it with a plastic to keep it moist. That way, you will not feel swelling anymore and no welts can be seen. Getting stung on the skin is a bad idea. But, meat tenderizer when combined with water will give you a solution for ant bite relief. This paste when applied over your skin can neutralize the venom. Meat tenderizer contains the proteolytic enzyme papain which can release the itching and swelling caused by ant bites and stings. Leave it there overnight to wash it off with water. Another suggestion among home remedies for ant bites is alcohol or any other type of drinks having a high content of alcohol. You can rub alcohol over your affected areas to suppress the activity of histamine and prevent swelling and itching. 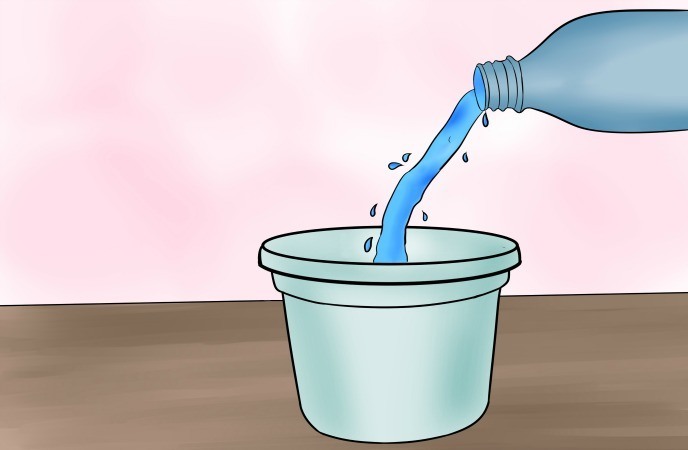 Just simply dab a small amount of alcohol, vodka, or mouthwash on your affected skin and leave it there for a while before rinsing it off with water. Reapply this method every now and then till your itching and swelling subsides. Because of anti-inflammatory and anti-itch properties, witch hazel deserves to be one of the most effective home remedies for ant bites. Just dab a little amount of switch hazel on the affected skin area and wait for a few minutes to rinse it off with water. This will relieve your itching and swelling sensations associated with ant and insect bites. Onion is famous for its medicinal values thanks to its anti-inflammatory properties that can reduce swelling and itching by ant bites. Place a fresh onion slice on your ant bite sites to relieve the redness and swelling naturally. Prepare a mixture between tea tree oil and grated onions. Rub the mixture over your impacted areas twice or thrice per day to get good results. Apply the paste over your affected area and wait till the next morning to wash it off with water. Thanks to great anti-inflammatory effects, tea bags can help you alleviate itching and swelling sensations caused by ant bites. Wait to let them cool down and place them onto your affected skin areas. 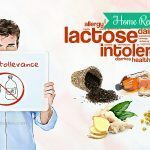 Another solution for those looking for best home remedies for ant bites is clay. By mixing it with a small amount of water, you have a paste that can relieve itchiness and pain caused by ant bites. Including good healing and soothing properties, clay is a safe treatment for both ant and insect bites. This is amazing home treatment to handle ant bites. Honey is renowned for widely uses in many products from health, beauty, and medical fields. It gives soothing effects to your skin when applied directly. After a few hours, wash it off and you will see noticeable results. Remember that you should choose raw organic honey because only raw type of honey has active enzymes that work excellently. Not only does honey draw poison from the bites, but it also helps heal wounds and infections too. Obviously, it has a lot of benefits for allergies. Raw, unfiltered honey is really an important food in every kitchen. Rub the paste over your bite sites and wait for a few hours to rinse it off with plain water. Caution: Calamine lotion is used for external purpose only, not internal. Lemon juice is among the best home remedies for a number of skin issues. The acidic nature of lemon can remove poison getting into your skin because of the bites. You can use lemon juice as a home remedy for ant bites. Apply lemon juice directly over your affected area to relieve itching and swelling. Use this remedy regularly till you get a relief from ant bites. The gel extract from aloe vera leaves is great for healing and cooling your ant bites. You could use it to decrease itching, pain and swelling thanks to its anti-septic, anti-bacterial and healing properties. Using aloe vera gel frequently can heal your skin so fast. Repeat this routine for 1 week till your skin is repaired from ant bites. Similar to onions, potatoes could be used as one of home remedies for ant bites. Take a fresh potato and cut into many thin slices. Place it onto your impacted area. This will relieve your irritation and swelling caused by ant bites. Place your impacted area under the tap in the washbasin or sink, then pour a cup of bearably hot water on it. Firstly, the itch will become more severe, but it will soon go away in no more than 10 seconds. After about 30 minutes, you will feel a relief. Then, the itch may return, and if it returns, you repeat the routine as necessary. 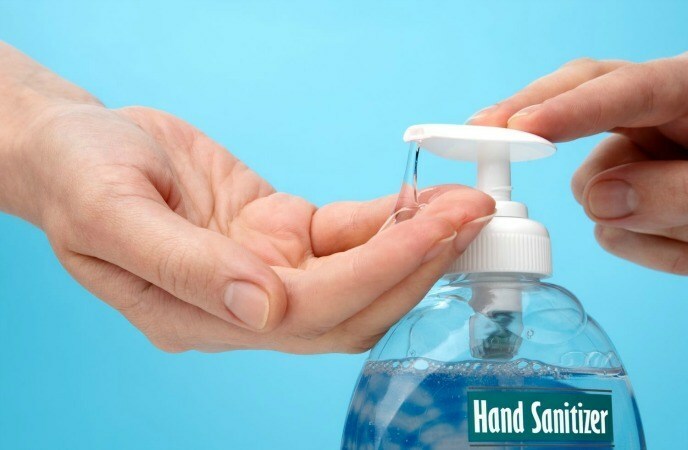 In case you are prone to ant bites and stings, then always have in hand a bottle of hand sanitizer. Once you get bitten, put a dollop of this solution on your irritated site and let it relieve your itching and swelling. It will lessen your pain in several hours. The combination of lemon and baking soda can give you a relief from ant bites. Baking soda is a good natural remedy for ant bites as it carbon dioxide that leads to the eradication of irritation. Also, it is an antacid which can relieve skin pain and itchiness by neutralizing ant venoms. Add 1 tablespoon of baking soda in a small amount of lemon juice. Wait till it starts to fizz. Add water then (optional). Stir the solution till the baking soda is dissolved fully. 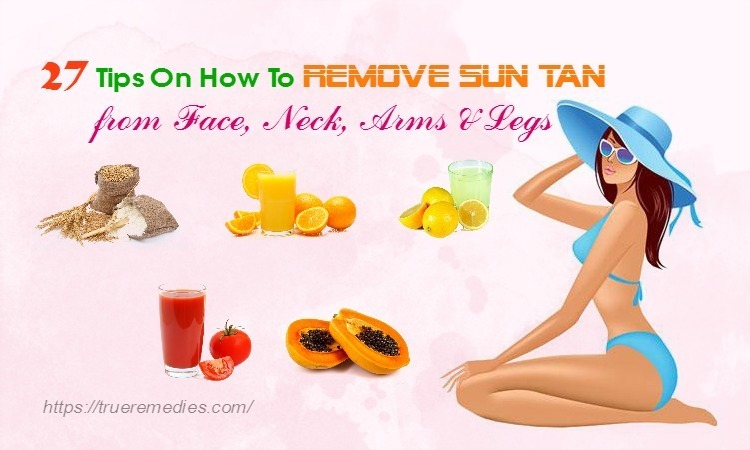 Apply the solution to your affected area and repeat this routine for a few days to see good results. Caution: Do not overdo it if you want to avoid opposite effects. Massage 1 teaspoon of extra virgin olive oil on your affected skin area several times per day. Also, consume 2-3 tablespoons of olive oil every day to increase your immunity and make it more resistant to insect stings and bites. This is particularly important if you are easily allergic to ant bites as well as other insect bites. However, when taking olive oil internally, you should cut down on other types of fat because there are a large number of calories in olive oil. Spray a little bit of Windex or whatever type of winder cleaners on your affected sites to reduce the effects of ant bites. Do not spray too much because after all, ammonia is a strong substance which might have adverse effects on your skin. Avoid letting it kill off your skin cells plus with the ant venom. When having an ant bite, you can grab a soap bar to relieve your symptoms of ant bites. It is not necessary to use an anti-bacterial soap because normal ones can also do the job. Press and rub a bar of soap gently onto your impacted skin areas. Make sure you apply a coat of soap over your irritated areas to destroy harmful bacteria on the surface of your skin that may move into the deeper layers of skin via wounds and cuts. Rubbing the area with soap also helps prevent swelling, pain and itching. Repeat it at least 4 times per day to get noticeable results. In case there is not any soap bar, then you can use bleach as a replacement. It is your last resort, but you should choose the diluted bleach. Diluted bleach can break down the protein in the ant venom, which is a mixture of alkaloid and protein. Then, dab some bleach mixed with water on the ant bites (with the ratio of 1:1). Many researches on eucalyptus oil prove that it possesses a number of anti-microbial as well as immune-modifying properties. It has a chemical named eucalyptol – giving its effect of relieving skin irritation triggered by ant bites and insect bites. Rub the solution onto your affected skin area. Repeat this routine till your itchiness and pain subsides. Eucalyptus oil features with many other biological and medicinal properties. 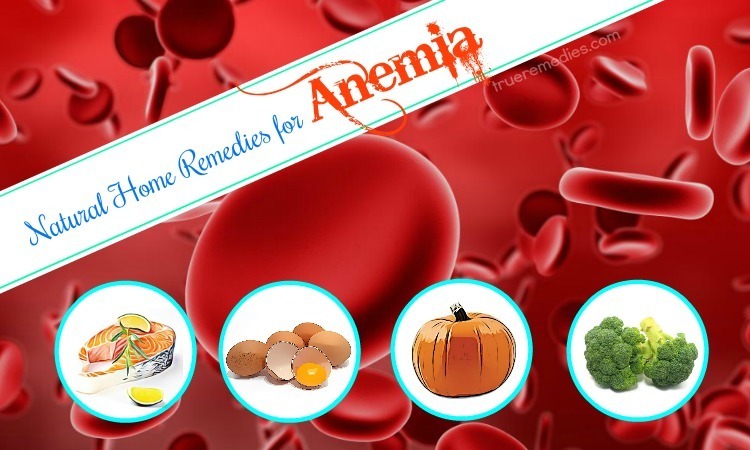 Thus, you can use it for a wide range of health and beauty issues. The aim of using clay is to absorb the venom and leave the skin healthy and clean. Actually, clay is a wonderful absorber, which can extract all types of toxins from the human body. Thus, it is not surprising that clay has been used as an effective treatment since thousands years. The trace minerals found in clay can go into our bloodstream via the skin, giving it the effects of treating many problems. 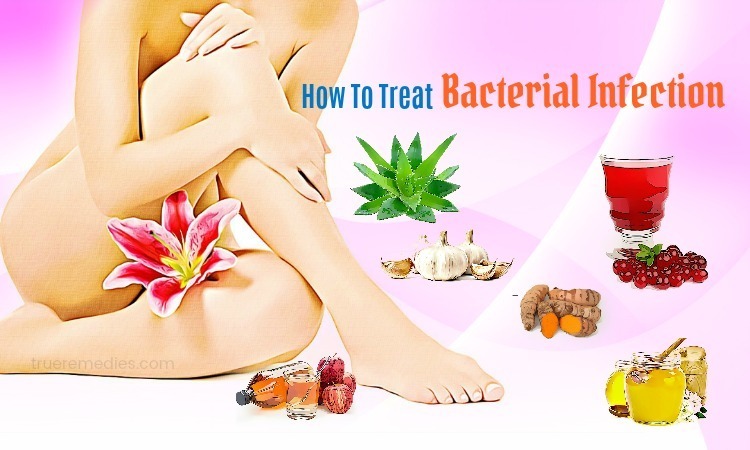 That way, you will get an almost instant relief from pain and itchiness. But make sure that you buy natural clay because just it can give beneficial properties and soothe all types of aches and pain. You can find natural clay in most gardens. Keep the bites clean and dry, then apple a mixture between cornstarch and cold water. The mixture should be a peanut-butter-like paste. After that, use a cotton ball or gauze pad to apply the mixture over your affected skin area. 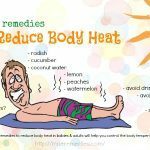 Apply this combination to your affected area to draw out the fluid from the bites, thereby decreasing inflammation. Use a first aid tape / bandage to cover it up. 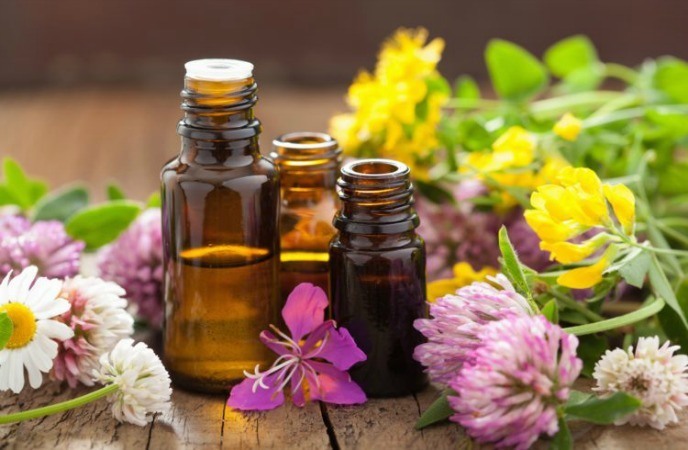 Some types of essential oils can relieve the itch caused by ant bites. Not mention to lavender and olive oil described above, lavender, peppermint essential oil are other beneficial itch relievers. Particularly, peppermint oil has menthol which can stimulate the blood flow and soothe your skin naturally. If you do not have peppermint oil in hand, then you can make a paste of the fresh leaves of any plant in the mint family to get the same effects. Crush the leaves and mix them with 1 tablespoon of cornstarch before adding water or witch hazel into (if necessary) to have a good paste that covers the bites. Wait till the water cools down and dip a clean, soft cloth in the solution before applying to your bite sites. Press the cloth onto the bites till you feel a slight tingle. Repeat this routine if necessary. This sounds too simple to relieve ant bites but it does work. 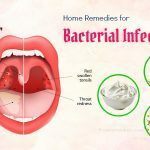 It is one of the simplest home remedies for ant bites you can try at once. A simple hot spoon heated will make the itch-inducing histamines in the affected skin areas to be released. To use this spoon remedy, you can heat a metal spoon under the tap of hot water for 1-2 minutes. After removing the spoon out, the bump might linger, but your itch will go away soon. Caution: When using this remedy, make sure the spoon is not too hot as it might burn your skin. Common plantain plus with narrowleaf plantain are good solutions for soothing ant bites and stings. Chew up a leaf of plantain or mash the leaf to get the juice, and then apply it over your affected skin. Or, you could also infuse the plantain leaves in oil, then use this oil to treat large areas. To soothe the itchiness of ant bites, you can make a paste between powdered milk and water with the ratio of1:2. Add a pinch of salt into and apply the paste over your affected area. This is among little-known home remedies for ant-bites. You can easily find Worcestershire Sauce in your kitchen. It has soothing effects that can combat the ant bite. Repeat this routine a few times per day till you get a relief. Peroxide can reduce itching, swelling and pain accompanied with ant bites. This treatment also does not cause any side effects to your skin. Just simply spray a little bit of peroxide over your affected skin and see how it works to relieve your problem. 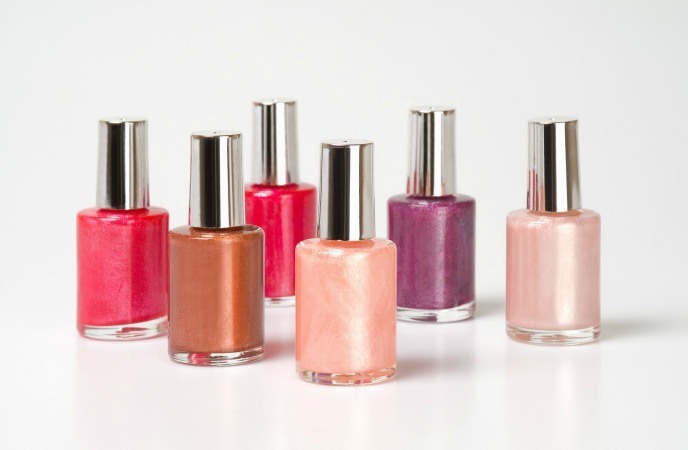 Using fingernail polish is another good solution for ant bites. It can take several minutes to calm down and soothe the itching and swelling caused by ant bites. Did you enjoy our list of 37 home remedies for ant bites and stings swelling and itching? Ant bites could potentially be life-threatening it not treated carefully. Now, you have known how to relieve ant bites without panicking, fretting or taking expensive medications. Share this article if you like it to help other people with ant bites deal with their problems. What home remedies for ant bites do you use? Share your recipes and comments about this post at the comment box below! 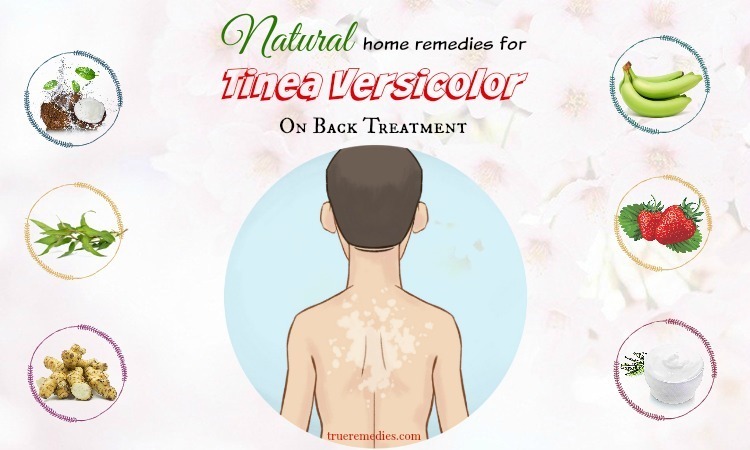 For further home remedies for other conditions, refer our Home Remedies Page here.